“Emergence of NEW Supply for the Growing Regional Demand"
Growth in the European biomass markets has been boosted by Drax Power’s third unit going online, boosting their wood pellets consumption to twenty thousand tonnes a day. After the UK, the Danish market remains at the forefront of activity, with Dong Energy and Hofor set for a major increase in both renewable power output as well as wood pellet and wood chip consumption. On downstream supply, shifting currency markets has led to a strong US Dollar that has sidelined spot exports from the US and favoured European pellet producers capable of offering at considerably lower levels. Pellet pricing in Europe remains at its lowest levels in six years with Russia emerging as an attractive supply hub, with many consumers looking to reap its cost advantage. The rapid rise and implementation of the Sustainable Biomass Partnership (SBP) scheme has been a welcome boost for the market as we see suppliers in the Baltics, Russia and North America being approved. The scheme remains in its infancy but should lead to increased trade and a politically accepted universal standard. The emergence of wood chips as a primary fuel adds a new dynamic to the market and Scandinavia is positioned at the forefront with the likes of Dong Energy, Hofor and Fortum set to consume several million tonnes per year. With these developments and a line-up of key experts from the industry, CMT’s Biomass Trade & Power Europe 2016 is set to be the platform to discuss the year ahead, key challenges and goals for the European biomass and power generation market. Key highlights include the pre-conference site visit to Dong Energy’s Avedøre Power Station & Blue Point Pellet Production Facility, and up to 8 hours for networking and discussion with your prospective partners. Is new production & demand keeping pace with each other? Will pellet pricing remain at bearish levels in 2016? Is there enough new demand outside of the UK? Will US pellet producers be able to compete with European suppliers? Is Russia set to become a new supply hub for wood pellets? What is the potential for further growth in Europe’s heating markets? Are we set to see wood chips replace wood pellets as Europe’s primary fuel? Will the rise of SBP lead to a more harmonized global market and increased trade? Is the biomass market doing enough to defend itself against policy makers, media & NGOs and what more can be done? 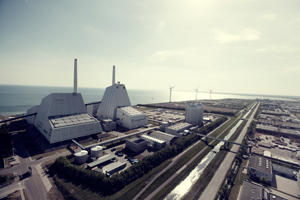 The multi-fuel Avedøre Power Station on the outskirts of Copenhagen ranks among the best in the world. The total production capacity for the two blocks on the Avedøre Power Station is 793MW electricity and 918MJ/s heating. Avedøre Power Station supplies 200,000 households with heat and generates about 30 % of the electricity consumption on Zealand, equivalent to the annual electricity consumption of around 1.3 million households. From the autumn of 2016, this largest power station in Denmark is planned to generate heat based entirely on wood pellets and straw instead of coal and gas. The Blue Point Pellets wood pelleting plant in Køge, Denmark holds the distinction of being the largest pelleting facility in Denmark. Equipped with state-of-the-art equipment and fully automated, the facility can make in excess of 250,000 metric tons of pellets per year. 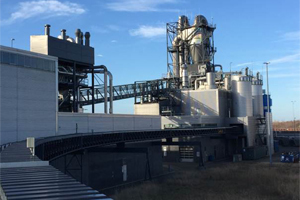 CMT’s Biomass Series has traveled across Europe, America and Asia – from Rotterdam to Brussels to Atlanta to Seoul to Jakarta and recently to Tokyo. With nearly a decade of bringing together over thousands of wood pellet & wood chip producers & traders, power utilities, and technology providers, the Series is often pegged as the ‘Biggest Biomass Buyers & Suppliers Meet’! Starting out with BiomassWorld in 2008, the series has evolved to encompass inter-regional wood pellet trade & supply, biomass power projects, developments in biofuels, biomass use regulations and more. Our 2016 editions are coming up in Bangkok, Copenhagen and Tokyo! France will receive funds worth EUR 112 million (USD 121.5m) from the European Investment Bank (EIB) to construct four biomass projects. The fund will be used to renovate existing district heating facilities in Forbach, Epinal, Lacq and Nantes. These facilities are currently running on fossil fuels. The funds will be used to convert them to use locally sourced wood chips as feedstock. The facilities are expected to achieve a heating or cogeneration capacity of 20-60 MWth per unit. France plans to supply the heating from these plants to local urban communities and the electricity output will be injected into the national grid. The fund is part of a larger EUR 1-billion green growth package – about EUR 400 million will be earmarked for energy efficiency-related renovation works of public buildings while another EUR 75 million will be invested in education and training activities for energy efficiency. At CMT’s Biomass Trade & Power Europe on 22-24 February, 2016 in Copenhagen learn more about such investments in biomass projects in Europe. The United Kingdom is one of the major countries leading the adoption of biomass power. Drax Power Station – UK’s largest power plant – has already converted two of its coal-fired units to biomass-based ones in 2013 and 2014. The third unit is expected to be converted in 2015/16 while the company also plans to convert its fourth unit. Drax has a total of 6 power units. Once Drax succeeds in converting all its power units to biomass feedstock, UK can cut down its carbon emissions – estimated at approximately 12 tonnes of carbon being saved annually. Meanwhile coal industry is impacted by reduced production owing to lack of demand which in turn has resulted in higher prices. It’s estimated that the UK witnessed a significant drop in the production of coal-fired power – between July and September 2015, when the output reduced by 54 per cent. During the same period, renewable energy accounted for nearly 20 per cent of the general power production in the country. It’s projected that biomass supplies will be approximately 2.2 million tonnes in 2015. The rise in biomass-based electricity is attributed to its ability to reduce greenhouse gases by almost 86 per cent. Drax Power Station procures its wood pellets from the USA. However, use of wood pellets is often criticized for destroying forests. Some environmentalists also offer some contrary figures compared to others – claiming that wood pellet firing releases 15-20 per cent more CO2 compared to coal. At CMT’s Biomass Trade & Power Europe on 22-24 February, 2016 in Copenhagen learn more about Europe and UK’s biomass demand and supply. Europe has seen high demand for wood pellets given an increase in in local consumption. Russia – currently the third largest exporter of wood pellets to the EU, following the U.S. and Canada, is expected to increase wood pellet production and exports to the region. In 2015, Russian wood pellet production is expected to increase 15%, reaching 1.36 million metric tons, with 1.02 million metric tons of that volume being exported. The increased production is driven mostly by the strong demand from EU. In the mid-term, domestic demand for wood pellets is expected to increase 10-20% annually. It’s estimated that about 97 pellet plants are in operation in 2015 in Russia, which has a capacity use of 85%. Besides, four new wood pellet facilities are under construction in the country that have a combined capacity of 500,000 metric tons. Russia’s 2014 pellet exports stood at 880,000 metric tons, which mark a 13% increase from 2013, according to the Russian Customs Service. Of this, about 382,000 metric tons were exported to Denmark, 218,000 metric tons to Sweden, and 57,000 metric tons to Italy. Russia’s largest pellet facility – Vyborgskaya Forest Corp., has an installed capacity of 1 million metric tons. However, the plant is only operating at an estimated 50% of its total capacity due to some interruption in raw material supplies and legal issues. At CMT’s Biomass Trade & Power Europe on 22-24 February, 2016 in Copenhagen learn more about rise of Russia as a major wood pellet supplier to Europe.